We take an arts-based approach to learning science, technology, engineering, and mathematics. Learn how to use these subjects as tools, to explore and build the things YOU want! Take our workshops to nourish your curiosity, build creative confidence, and learn some handy, practical, and, as they say, future-ready concepts and skills. Just getting started in making and tinkering or nervous about where to start? Check out our Level 0 workshops! If you’ve had some experience building things or are ready to dive right on in, take a look at our Level 1 & 2 workshops! Is cost an issue? Please let us know! We want to ensure access to our workshops for each and every interested individual. Arduino 101: Build a Theremin! 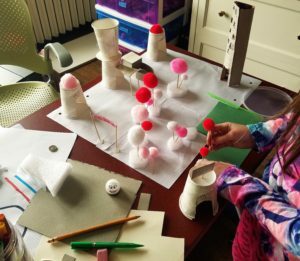 Exploratory courses in tinkering, tool use, and design thinking for those just getting started and for the lil’ kiddos (ages 5 and up). Work with tools and discover the many little electrical components that make up our everyday items. Take apart that old, dusty telephone, learn how to distinguish capacitors from resistors, and keep all the pieces you want! 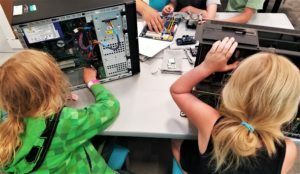 From the wreckage, we’ll harvest wires, circuit boards, and buttons to create our own up-cycled creations—and learn where to recycle the rest without harming others or our environment. How to reuse and recycle electronics and electronic components. Discover weird and wonderful ways to use and reuse common household materials! 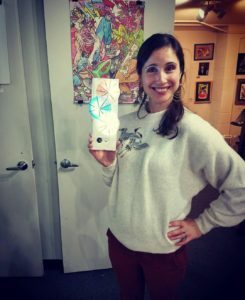 Each workshop focuses on a specific material, like cardboard, paper, or clothespins, and presents a special challenge to tackle using that material. Our challenges include: Design a game; Invent something to change the world; Make something that moves; and Create a Home. How to reuse materials for fun and functional purposes. 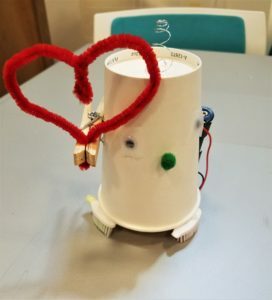 Design and build a Brush Bot to tackle obstacles and earn points! Use your creativity while learning and implementing the basics of circuits, electronics, and design thinking. Light-up cards make the world a brighter place! Plus, electricity is super fun to wield and add to your projects. We’ll cover the basics of what electricity is and how to make a circuit, then use our knowledge to add lights to all sorts of paper crafts! What in the world is Arduino? How is a microcontroller different from a computer?? Our Level 1 workshops cover these topics and more! This series is designed for beginners and kids ages 10 and up, or kids who have experience with electronics and microcontrollers. Add “smart” electronics to your costumes, props, & other projects! In this workshop, we’ll use the Micro:Bit microcontroller to control lights, send radio messages, and move motors. Time permitting, we’ll also build some actual props! 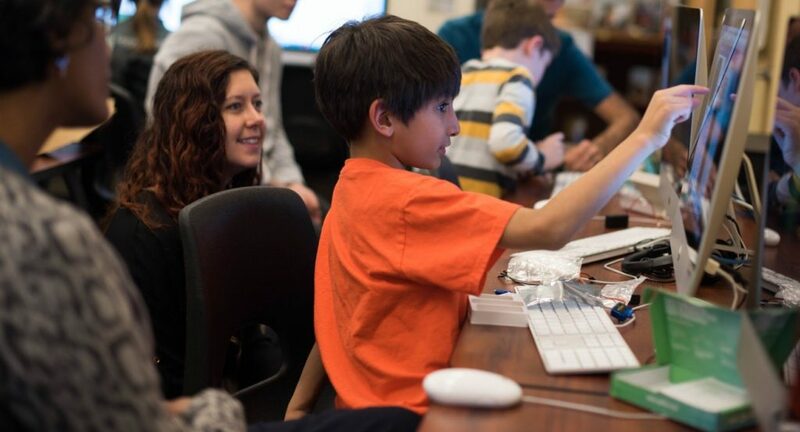 This workshop includes hardware overview of the Micro:Bit, teaches you how to use block-based code on the Microsoft MakeCode website, and covers the Design Thinking process for prototyping. If you’re asking “What’s a microcontroller?”, this workshop is perfect for you! 2 – Breadboarding 101: Build an Analog Theremin! Let’s get analog! Discover the variety of components that make up everyday electronics using an electronic hobbyists favorite tool: the breadboard! We’ll practice building circuits with common components, then use our knowledge to build an analog Theremin, no coding required. What and how basic components make up computers and other electronic devices. 1 – Arduino 101: Build a Digital Theremin! Wield the power of an Arduino to control lights, read in sensors, and build a theremin*! 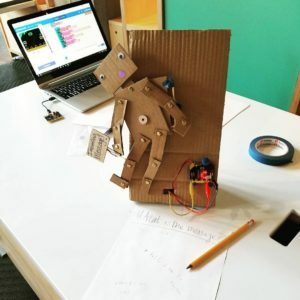 We’ll learn about Arduino programming (a combination of C++ and Processing), explore a some common circuit components, and use some handy tricks to make and customize a simple theremin. How to build simple circuits. *A theremin is an electronic instrument that changes sounds based on how you wave your hands around it. The version in this workshop uses a light sensor called a photoresistor. 1- Intro to the (Headless) Raspberry Pi! Free yourself from all* the cables and learn how to connect to the Raspberry Pi 3 remotely! Bring your Pi 3 (or Pi Zero) and a micro SD Card and learn how to connect to it remotely! We’ll edit our SD card to allow for remote connection, the programs and information needed to remotely connect (via SSH), and generally how to use the Pi. Large Group Workshops (6 or more): Based on size, type, and location of class — please inquire. Contact us to set up a workshop or lesson in the Greater Seattle Region! Please note that workshops and lessons outside of the Greater Seattle Region may require an additional travel fee.